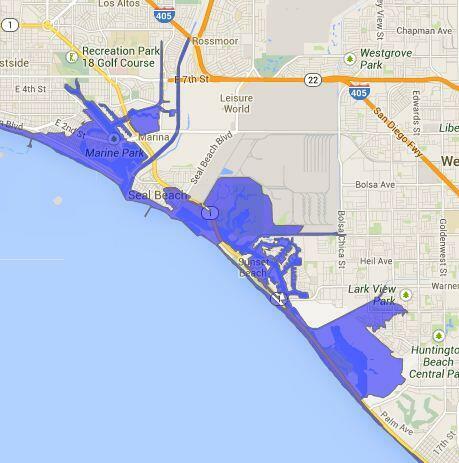 What would flood if a huge tsunami hit Southern California? The U.S. Geological Survey this week released a report assessing the tsunami risk in California. The research simulated a 9.1 quake off the Alaska coast that would send damaging waves to California. 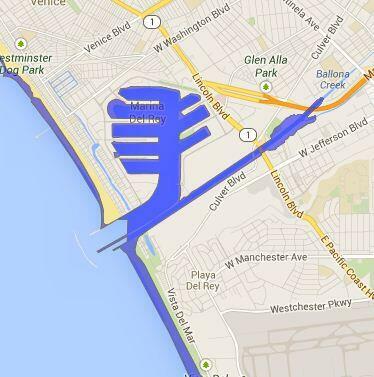 1) What are the parts of Southern California most vulnerable to tsunami flooding? The USGS study listed several areas, including Marina del Rey and the ports of Los Angeles and Long Beach as well as the low-lying coastal areas extending from the ports to Newport Beach. 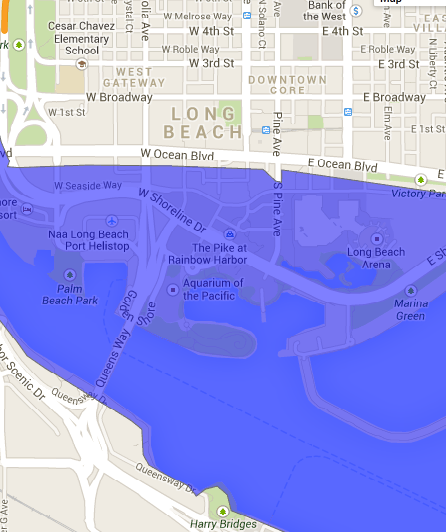 Tsunami waves of 3 to 10 feet could submerge blocks of Long Beach south of Ocean Boulevard, including the Aquarium of the Pacific and the Long Beach Convention Center as well as the Shoreline Village and Pike shopping centers. 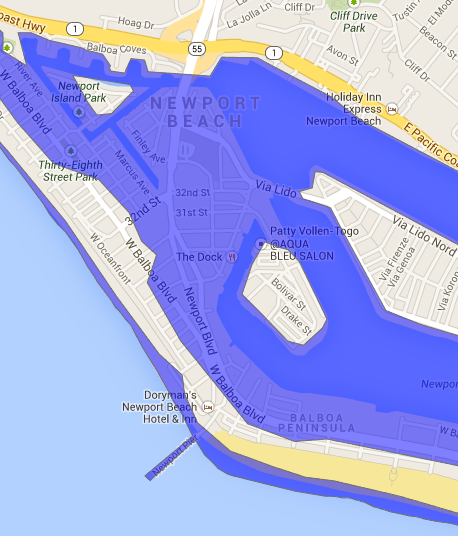 Those same-sized waves could cause flooding around the affluent communities of Newport Bay and Huntington Harbour as well. 2) Why are these places so vulnerable? They have low elevations and lack protection against waves. Some coastal areas are better protected because of cliffs that divide the ocean from populated areas. 3) How serious would the damage be? Researchers said the waters would cause sewage to foul beaches, damage fishing boats in marinas and make more than 8,000 people homeless. Tsunamis could also travel several miles inland up coastal rivers. Statewide, one out of three boats in coastal harbors and ports could be damaged or sunk, and the cost of the disaster could approach $8 billion. 4) How about getting out? The biggest challenge would be evacuating everyone before the tsunami hits. Some areas, like Balboa Island in Newport Beach, have only narrow roads for escape routes. During summer beach season, evacuation could be significantly more difficult. More than 250,000 people at beaches and coastal parks would have to evacuate in the spring. And that number jumps to 1 million in the summer. 5) How likely is it that a tsunami is this big? A tsunami as powerful as that created in the simulation is estimated to occur once every several hundred years. There's little recorded evidence of a destructive tsunami in Southern California in modern times. But the 1964 Alaska tsunami killed 10 people in Crescent City, Calif.